Greetings to all of you in the Utah Chapter as we begin another year! Since our last newsletter, the fall board of governors meeting was held in Montreal. The FY 2017-2018 strategy including the Mission, goals and priority initiatives can be found here. I am looking forward to our annual chapter meeting in Salt Lake City March 2-3, 2018 and hope you have had a chance to register. I would like to thank Kencee Graves, MD, FACP and Karli Edholm, MD, FACP for serving on our leadership council as the Resident/Fellow and Chapter Meeting committee chairs, respectively. Both committees have flourished under your leadership and we can't thank you enough for your commitment these last few years to our ACP chapter! We are excited to welcome Amanda Breviu, MD (Resident/Fellow) and Erik Riessen, MD, FACP (Chapter Meeting) as the chairs for each respective committee this next year. Finally, I would love to hear from any of you about your priorities for 2018 or any ways that you feel the ACP or your local chapter can better serve your professional needs. Please feel free to email me or we can arrange a time to talk. May you have a safe and professionally satisfying new year! If you've ever considered getting more involved with ACP you can learn more about joining our leadership committee by contacting us at contact@UtahACP.com. Fourteen (14) resolutions will be heard at the Spring 2018 Board of Governors (BOG) Meeting in New Orleans, LA. Please review each resolution and then indicate your support or opposition by completing the brief survey here by Friday, March 24. Another fantastic Utah Chapter Annual Scientific Meeting has been planned for 2018. You can learn more and register online. Our annual Chapter Meeting is a 1.5-day CME program, providing a comprehensive overview of advances in Internal Medicine and related sub-specialties, geared specifically to your most pressing practice needs. In addition to earning up to 11.25 AMA PRA Category 1 Credit(s)TM you may also earn 11.25 ABIM MOC points. Most importantly, you'll have the chance to meet, network, and exchange ideas with peers. See the full agenda and register online at www.UtahACP.com. Gumbo is the official cuisine of the state of Louisiana, tracing its roots back to the 1800s when the culinary practices of the French, Spanish, native tribes, and African slaves combined to form a hearty dish using all readily available ingredients. Gumbo is thought to be based on cuisines found in West Africa or derived from the French bouillabaisse. The name “gumbo” probably derives from the Bantu word for okra, which is commonly used as a thickener in preparing the dish. Like a good pot of gumbo, Internal Medicine Meeting 2018 in New Orleans will nourish the intellectual spirit of all attendees. 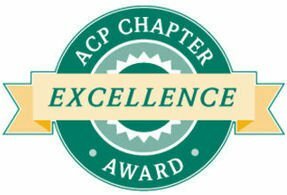 The 2018 awards ceremony will coincide with our chapter meeting to honor five Utah Chapter members: The awards ceremony will honor five Utah Chapter member: Kathleen Cooney, MD, FACP is being recognized for her extraordinary service in medicine with advancement to ACP Mastership; Karli Edholm, MD, FACP is being presented with the Laureate Award for her commitment to excellence in medical care and in service to the community; Adam Spivak, MD is being presented with the C. DuWayne Schmidt Community Service Award for his distinguished humanitarianism and voluntary contributions in medicine and the Utah ACP; and Eric Moore, MD and Anish Bhatnagar, MS are being recognized for their demonstrated commitment to excellence in medical care, their chapter, and the ACP. To suggest a colleague for our 2019 awards ceremony, please fill out our nominations form by July 1, 2018. The Utah Chapter is in receipt of the 2017 Chapter Excellence Award. The award recognizes chapters that successfully meet the standards for managing a chapter. 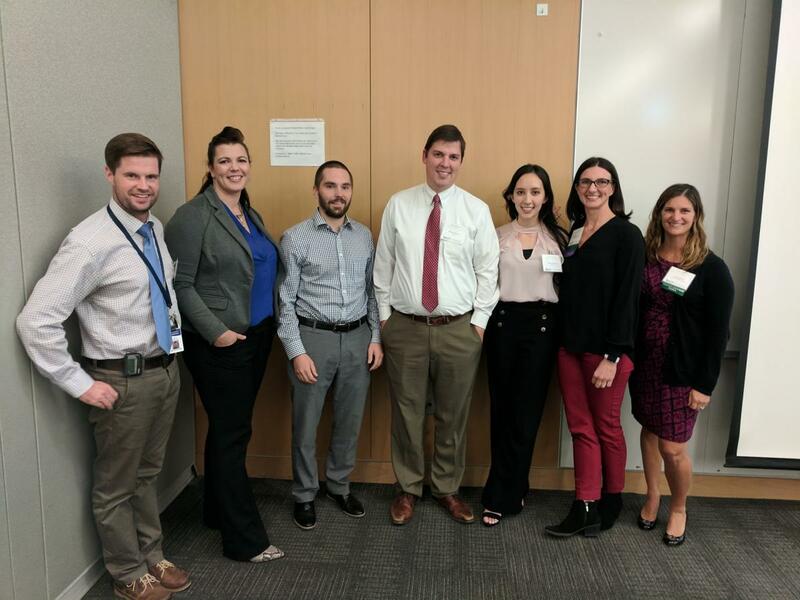 Spring 2018 – Poster Competition: The Medical Student and Resident/Fellow Poster Competition will coincide with the annual Utah Chapter Meeting, Friday, March 2. All trainee members are encouraged to submit research, clinical vignette, or quality improvement posters for the competition. All ACP members are welcome at the competition. Fall 2018 – Clinical Vignette Competition: Exact date TBD. ACP Medical Student and Resident/Fellow members are encouraged to submit a clinical vignette about a patient they have found interesting. Three finalists will be chosen to present their vignettes during a dinner event on a weekday evening in September 2018. More information will be coming soon. Contact Brittany Patterson at brittany.patterson@hsc.utah.edu for information about the competition. Are you a medical student, resident, or fellow who has seen a really interesting patient? Are you involved in research or quality improvement work? Submit a poster by February 14th, 2018 at 11:59 pm! We invite you to participate in the annual Poster Competition to be held on Friday, March 2nd at 4:30 pm at the University Guest House. All medical students, interns (categorical, prelim, transitional), internal medicine residents, and fellows in internal medicine specialties are invited to submit a poster about a topic in internal medicine. All posters submitted will be printed and on display during the ACP Chapter Meeting March 2-3, 2018 at the University Guest House. Everyone who submits has the opportunity to present their poster. Judges will select 2 semi-finalists winners from both poster categories – Clinical and Research – who will receive a cash prize. The grand prize winner (selected out of the 4 semi-finalists) will receive a $1500 trip to ACP 2019 in Philadelphia, PA to present their winning poster. You will categorize your poster among the following categories: Clinical Vignette or Research (Clinical, Basic, or Quality Improvement/Patient Safety). Format guidelines are available for each of these submission types along with a template are available on the News and Meetings Page. Please don't hesitate to contact us if you have any questions or need more information. To submit a poster, please email your submission to contact@utahacp.com. We look forward to reviewing your posters! The clinical vignette competition was held on Wednesday, September 20, 2017. A total of 25 clinical vignettes highlighting fascinating cases observed at University Hospital, VA Medical Center, and Intermountain Medical Center were submitted. All presenters received a cash prize. The winning presentation was submitted by Noopur Goyal, MD, who presented the case TB or Not TB, That is the Question, Dr. Goyal will join our leaders at the 2018 ACP National Meeting to be held in New Orleans, LA. A copy of the Clinical Vignette Booklet can be found here. Congratulations to all who submitted for the 2017 ACP Utah Chapter Clinical Vignette Competition and a special thanks to Drs. John Christensen, Ronak Iqbal, and Debra Simmons for taking time out of their busy schedules to judge this event. Last but not least this event couldn't be done without the time and leadership devoted each year by Residents and Fellow Committee: Drs. Kencee Graves (Chair), Lana McGill, and Eric Moore – thank you! If you have ideas for a social event we want to hear from you! Email brittany.patterson@hsc.utah.edu. A documentary of Utah chapter member, Kristen Ries, MD MACP was selected at the 2018 Sundance Film Festival. The documentary depicts Kristen Ries and her partner, Maggie Snyder's fight against stigma, shame, and ignorance through the height of the HIV/aids crisis in the heartland of America's west. ACP has updated its popular guidebook, “Living with Diabetes: An Everyday Guide for You and Your Family,” with new visuals and a redesigned layout that's easier for patients to read. This award-winning guidebook helps patients learn about and manage diabetes. Topics include diet, exercise, monitoring blood sugar, the importance of foot exams, and managing insulin and other medicines. “Living with Diabetes” is available in both English and Spanish. For more diabetes patient education resources, visit ACPOnline's Patient Education Center. ACP has updated its Climate Change and Health Action Plan, a toolkit developed to help members take initiative in addressing climate change. The Action Plan includes an updated overview, “How to Use the Climate Change Action Plan;” a PowerPoint presentation for chapter meetings, grand rounds and other educational opportunities; regional talking points that provide guidance on discussing how climate change impacts health in each region of the U.S.; resources on how to improve energy efficiency, reduce waste, and lower greenhouse gas emissions in physician practices and health care facilities; Patient FACTS; and additional tools. Identifying and prioritizing which complexities are of the top concern for ACP members and their patients. Educating ACP members, other physicians, consumer advocates, and policy makers on what makes up administrative complexities, including the intent of the requirement and how the complexity impacts patients and physicians. Implementing the most effective advocacy, stakeholder engagement, and practice support approaches to help mitigate or eliminate the top priority complexities and to help ACP members (and other physicians) address those complexities that cannot be eliminated. Achieving results that reduce physician burn-out, help restore the joy of practice, and reinvigorate the patient-physician relationship. 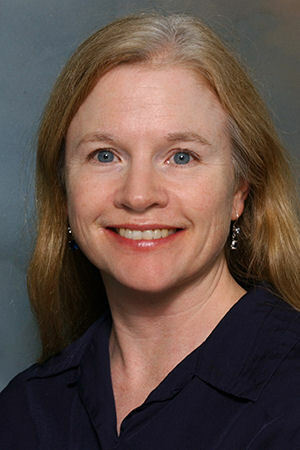 Earlier in 2017, ACP published a new Position Paper: Putting Patients First by Reducing Administrative Tasks in Health Care , which outlines a cohesive framework for identifying/evaluating administrative tasks as well as detailed policy recommendations to reduce excessive administrative tasks across the health care system. Following this paper, the College is implementing a multi-pronged action plan to operationalize the framework and recommendations outlined in the policy paper. And you can help! We are asking you to provide direct input into this work via a new online data collection tool. This tool, will allow you to enter either an administrative task or a best practice, and entries will be added to the Administrative Tasks and Best Practices Library. This library will eventually become accessible on ACPOnline, once the data are more robust. It can then serve as a resource for physicians to communicate administrative pain points with ACP staff and share and review best practices to address these issues. It will also serve as a tool for staff to advocate and provide specific examples to the external sources of these tasks, as well as to better serve our members via additional tools and services here .